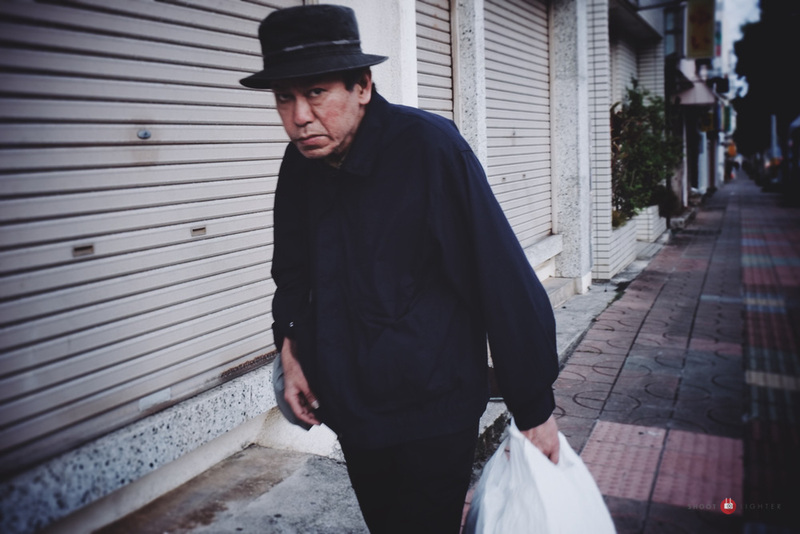 Recently I took an early morning walk around the neighborhood of Miyazato in Okinawa City with my Fuji X-Pro1. The quiet this time of day was therapeutic, interrupted only occasionally by the sounds of traffic from nearby highway 330, and reminded me how enjoyable it can be to shoot early in the day. Miyazato, Okinawa - Fuji X-Pro1, 18-55mm f2.8-4, ISO400, f/8, 1/90 sec. Edited with Camera Bag 2 on my iPad Air. Miyazato, Okinawa - Fuji X-Pro1, 18-55mm f2.8-4, ISO1600, f/8, 1/500 sec. Edited with Camera Bag 2 on my iPad Air. These two old guys were chatting and having a cigarette. We exchanged morning pleasantries, and then I ask if I could take their photo before moving on to let them continue their conversation. Miyazato, Okinawa - Fuji X-Pro1, 18-55mm f2.8-4, ISO250, f/7.1, 1/60 sec. Edited with Camera Bag 2 on my iPad Air. Miyazato, Okinawa - Fuji X-Pro1, 18-55mm f2.8-4, ISO800, f/2.0, 1/2000 sec. Edited with Camera Bag 2 on my iPad Air. Miyazato, Okinawa - Fuji X-Pro1, 18-55mm f2.8-4, ISO200, f/8, 1/110 sec. Edited with Camera Bag 2 on my iPad Air. In a small out of the way park I stumbled onto this small group of elderly people playing Gate Ball, a game similar to croquet. This is a very popular sport mostly played by the elderly here in Japan. Several of the players here are in their upper 80's, and one is 90 years old. Watching them play and talk you would have never known their ages. Miyazato, Okinawa - Fuji X-Pro1, 18-55mm f2.8-4, ISO200, f/4, 1/105 sec. Edited with Camera Bag 2 on my iPad Air. Miyazato, Okinawa - Fuji X-Pro1, 18-55mm f2.8-4, ISO200, f/4, 1/200 sec. Edited with Camera Bag 2 on my iPad Air. Miyazato, Okinawa - iPhone 6+, ISO 32, f/2.2, 1/775 sec. Edited with Camera Bag 2 on my iPad Air. Thank you for visiting today. Feel free to like, comment and share below if you enjoyed this post. TA.